Baton Rouge's premier location and best view of the Baton Rouge country club golf course. Nestled in the heart of Baton Rouge on one of the oldest and most desired streets. 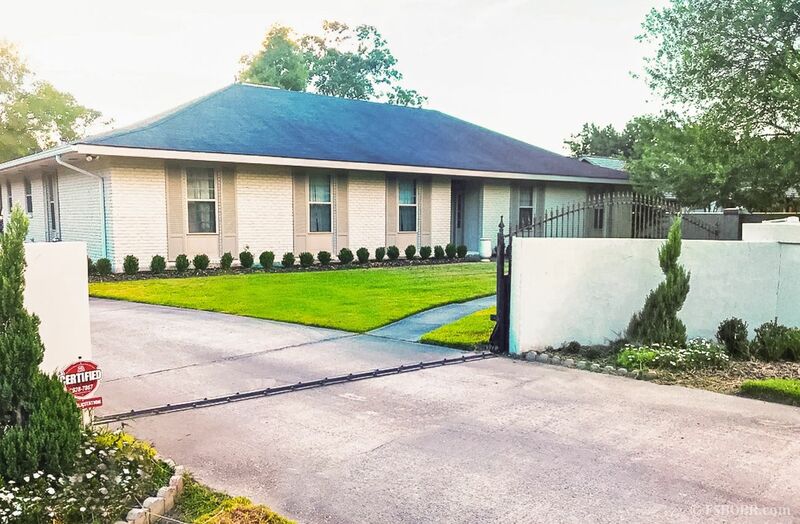 This completely remodeled, expanded, and updated Fairway home has the best amenities and view of the Baton Rouge Country Club, amazing sunsets every night. Taken down to studs with raised headers and ceilings throughout, no expense was spared in updating this classic ranch style home. The house features lots of natural light, energy efficiency windows, antique pine beams, pocket doors, antique porcelain hardware throughout, exquisite fixtures, raised ceilings and headers, designer paint colors, designer pulls, designer wallpaper, and a formal dining with built in designer marble buffet and grand antique doors, which feature antique church hedges and hardware, that lead to an office/study or playroom with custom built-ins with tons of storage. High-end wood flooring and imported Italian porcelain tile. The master bedroom has tons of space and the master bath features high end plumbing fixtures and marble chevron pattern floors and marble shower with ceiling shower head and secondary mounted handheld. The modern free-standing bathtub is as nice as they come. The bathroom features his and hers vanities with quartz counter tops, upgraded sinks, fixtures and designer mirrors. The chef kitchen features a double refrigerator, thermador range and oven, thermador hood, and porcelain farm sink. All counter tops are designer marble and quartz. The kitchen and front entry feature the imported Italian porcelain tile. The custom grill backsplash features imported South American marble design elements. There is a built-in breakfast nook that overlooks the living area with fireplace. The large walk-in laundry room and mudroom features tons of storage and a sink with quartz countertop. The sun room was turned into living square footage with views of the backyard and course. The front features a privacy wall and gate. There is a built-in dog door in the sun room that leads to an exterior dog run. This 1965 updated ranch style home is so well built you can't hear cars outside. The lot is extremely large and deep, plenty of backyard, 1 acre total. Lots on Fairway sell between $230k - $300k. There are only two houses with a walled view of the golf course and this property features ivy growing across the back wall. 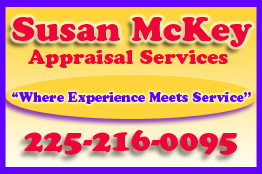 The house has easy access to I-10 & I-12, Essen, Corporate. Starbucks and Whole Foods is a few minutes away as well as two major hospitals, including the new Childrens' Hospital. 10 minutes to St. James Day School(downtown) in the morning, and in the Our Lady of Mercy parish. Home appraises north of $720k.